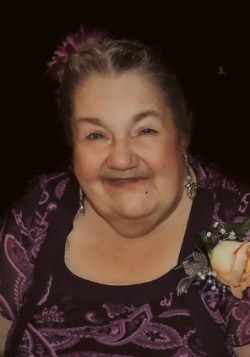 Obituary for Dorothea T. (Berube) Leger | Boucher Funeral Home, Inc.
Dorothea T. (Berube) Leger, 73, of Gardner, died peacefully Thursday, January 10, 2019 in Heywood Hospital of Gardner, following a long illness. Dorothea was born in Acushnet, MA October 2, 1945, the daughter of the late Raymond and Lillian M. (LeBlanc) Berube. She was employed by Walmart of Gardner for six years, prior to retiring in 2009. Dorothea was a member of Cornerstone Church of Winchendon. She also served on the Board of Directors for Montachusett Opportunity Council Inc. (MOC) of Gardner for 18 years. Dorothea loved music, and she treasured spending time with her family and grandchildren. She was a free-spirited woman who enjoyed life to its fullest. Dorothea was predeceased by her significant other, Albert Voisine, who died in 1995. She leaves her sons, Albert J. Voisine and Michael E. Voisine both of Gardner; daughters, Debra A. Morris of Winchendon, Jessica M. Leger and her significant other Steve Chalmers of Gardner, Crystal L. Voisine of Valdosta, GA, and Laura Voisine and her significant other Tim Russell of Wendell; brother, David Berube and his wife Joann of New Bedford; sister, Randi Robinson of New Bedford; eighteen grandchildren, six great-grandchildren; several nieces, nephews and cousins. She was predeceased by her sister, Leslie Correia. Funeral Services will be held Friday, January 25th at 11:00 a.m. in the Boucher Funeral Home, Inc., 110 Nichols Street, Gardner. Pastor Jay Lily will officiate. A calling hour will be held Friday, January 25th from 10:00 a.m. to 11:00 a.m. in the funeral home. Memorial contributions may be made to Cornerstone Church, 122 Gardner Road, Winchendon, MA 01475. Please reference in memory of Dorothea T. Leger.